Are you planning a vacation to Kiawah Island? We are here to help! We pride ourselves on making your visit a memorable one and the best way to enjoy venturing around the Island is by bike. Forget about having to pack everyone up in the car to go to the beach, or to grab a bite to eat, or even to enjoy some shopping. We offer the best bike rentals at the best price with selections designed to make getting around the Island fun and relaxing for the whole family. We know this, because we are a small family-owned business, and we love having fun together. There are so many things to do and see on the Island, ranging from enjoying the miles and miles of pristine beaches and over 30 miles of paved bike trails to championship golf courses and social events designed to be fun for the whole family. The Kiawah Island Golf Resort was named the number 1 resort by U.S. Travel and Leisure with courses designed by some of the best golfers to ever play the game. Enjoy fine dining; whether you are looking for a 5 star steakhouse or a more casual experience, the Islands have plenty to offer. In fact you may want to check out our blog post “Where to eat on Kiawah Island” which gives a good overview of your dining options. 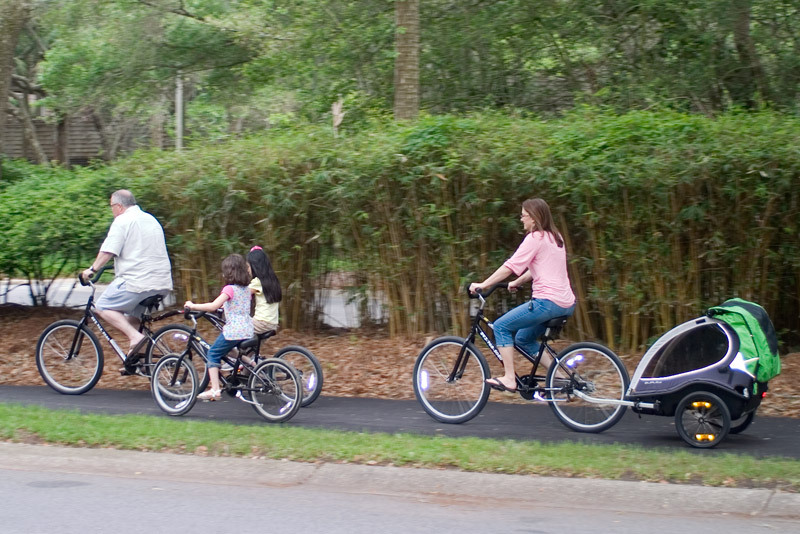 Biking in Kiawah truly is the best way to explore the Island. The trails are well-paved and flat for easy biking. You can bike out through Vanderhorst plantation on the trails and then back down on the beach. The sand on the beach is firm and perfect for biking. Enjoy the beautiful ocean views, the sea breeze and sunshine, as well as the grandeur of the oceanfront homes. Call ahead for bikes and have them dropped off right at your villa. Bike all morning, taking in the scenic views and enjoying peaceful surroundings, all while getting great exercise. Then reward yourself with a massage in the afternoon at the Sanctuary spa! If you would just like some more information as you plan your vacation to Kiawah Island take a look at the Kiawah Island South Carolina Wikipedia page.